Manufacturer Suggested Retail Price does not include prep, freight or tax. Exclusive to the Sport model, the T-top provides shade and style yet is easily removable for garage storage. 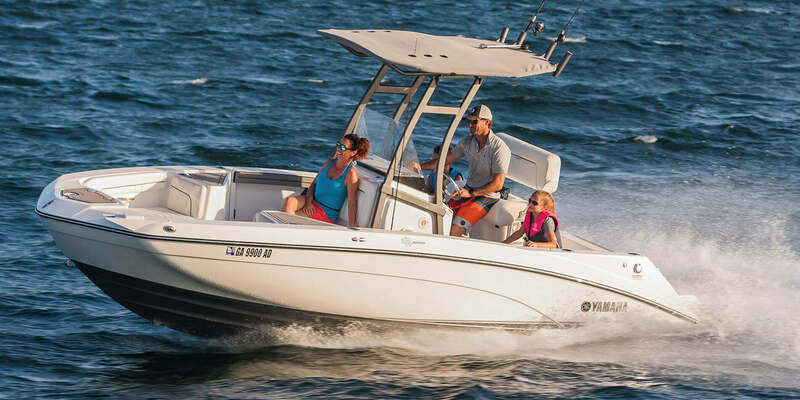 With a convertible backrest on Sport and Deluxe models, the leaning post works as both the captain's spot or the perfect fishing spot. The FSH™ helm was designed for customization so every boat fits its owner. Spacious bow seating with removable cushions. This large area is ideal for changing or storage and comes with a privacy curtain in the Sport and Deluxe models. Proprietary, 3 step coating process that combines Alumite, a ceramic coating, and epoxy paint.  In-Water Height (Bridge Clearance) 7' 8"
Copyright©2019 Bayside Jet Drive, LLC., All Rights Reserved. 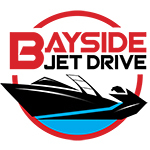 Copyright© Bayside Jet Drive, LLC., All Rights Reserved.